The unisex Country Innovation Merlin Smock is designed to be an extremely lightweight (less than 120gms), breathable windcheater. 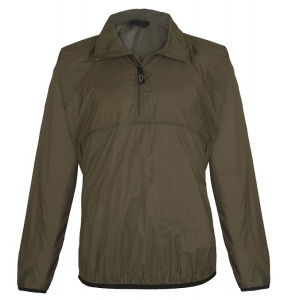 Great to throw on when there’s a bit of chill in the air and with some built in water repellency it’s also useful to fend off those spring/summer showers. Packs away into it's own inbuilt stuff sac - ideal to stick in a rucksack pocket until you need it!